He is one of the biggest movie stars on the planet. But before Will Smith became a household name, he 'didn’t drink for over a decade' in an effort to keep himself disciplined. 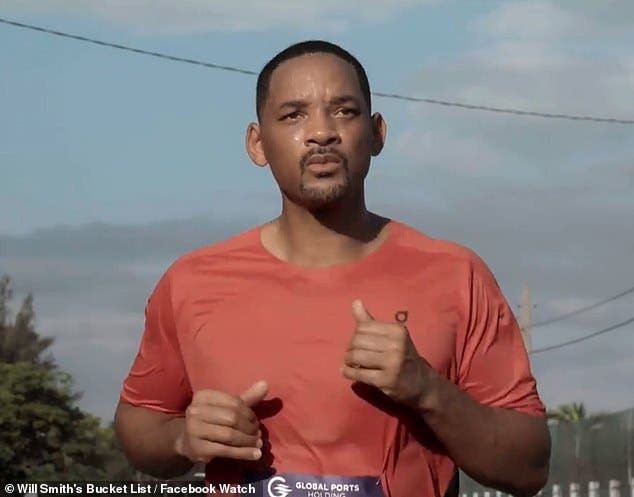 The 50-year-old actor made the revelation during an episode of his Facebook Watch show that follows him as he checks things off his Bucket List. Teetotaling: before Will Smith became a household name, he 'didn’t drink for over a decade' in an effort to keep himself disciplined. It's an athletic feat he has never attempted before, and reasonably he is anxious about it: 'I think of all the bucket lists this is the one I’m most concerned about,' he explained. Smith spent the three weeks leading up to the event preparing by going through challenging training and getting a check up with a doctor. 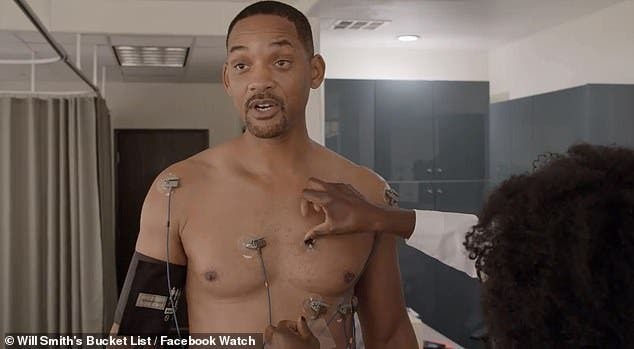 During an exercise stress test, he gets an electrocardiogram (EKG) and he relays some of his current discomforts and also discusses his former head state. “Being this far out of shape is kind of a little bit new for me,' he says with his short off to the camera. 'You know, during my rise as a movie star, I was, like, wildly disciplined, so being in this place in my life, even something as simple as taking my shirt off while I’m out of shape, like, you know this for me now allowing myself to be seen less than optimally is new. But at this point in his life he has found perspective it seems, ' as I’ve gotten older I don’t feel the pressure of living up to the billboard image of myself like I used to, and living with these imperfections and accepting my weaknesses has brought me so much freedom. Will went on to complete the marathon.